The environment in which you experience a wine has a “profound” effect on how you will perceive it to taste, according to an Oxford University professor. Speaking to the drinks business during an experiment into the effect of colour and sound on flavour perception, Charles Spence, professor of experimental psychology at Oxford University, said: “Lighting and music can act as digital seasoning for food and wine. “Colours effect mood. Italian film director Federico Fellini famously painted his staff canteen red in order to fire up his actors to bring out their passion. “A red room helps to bring out the fruity notes in the wine. In a green room meanwhile, the fruit profile of the wine disappears and the wine appears closed. Spence believes the classic tasting room – a white walled space with no music – is a bad environment in which to judge wine. “It’s too harsh and will make the wines seem more bland. 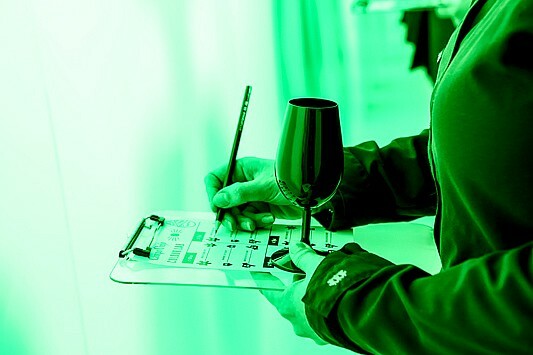 Professional tasters should consider their environment more seriously when they are judging wines,” he told db. “Bars are increasingly thinking about ways environment can enhance the tasting experience, taking everything from lighting to glassware into account,” he added.